My friend Cyndi is a crafty genius. She headed the Christmas decorating for our church this year. 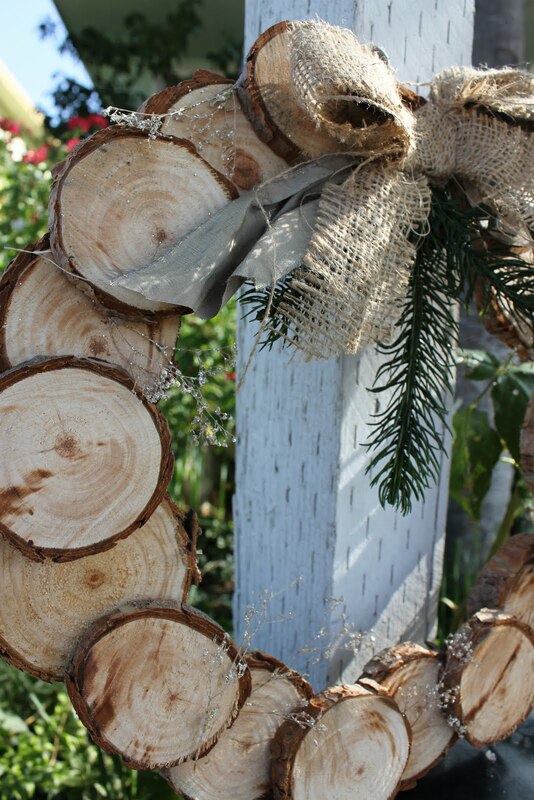 The "theme" was natural, organic looking decorations. None of the typical red and green stuff. Lots of birch, burlap, silk, snow, etc. instead. I can't wait to show you all of the different things we (she) came up with! 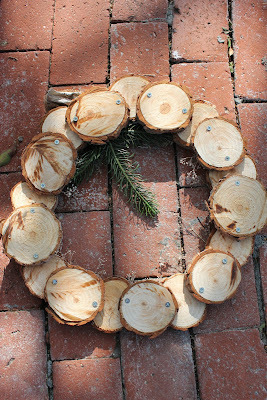 First, a birch wood wreath! 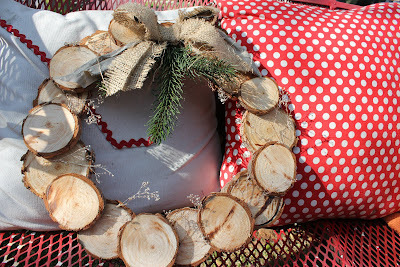 topped off with a burlap and silk bow and some pine needles. Oh and little glittery branches tucked into the rings of wood for some bling (can you see them?). Since it might have taken Cyndi all year (or at least all month) to make all the decorations herself, she threw a crafting party at her house. A bunch of people from the church came to help make all the decorations. We drank apple cider, ate yummy goodies and listened to Christmas music while we talked and laughed and got our craft on. I took pictures of each of the different projects as they were being assembled to share with all of you. 1. Beg some gardeners to give you the birch trees (or any tree really) they just cut. 3. 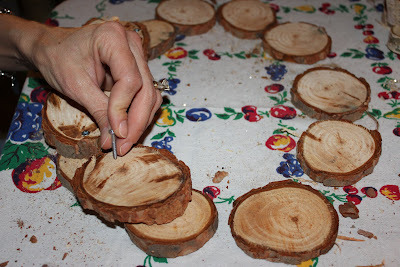 Lay the rounds into a circle shape as see above. Using an electric drill, screw the pieces together from the back. 4. 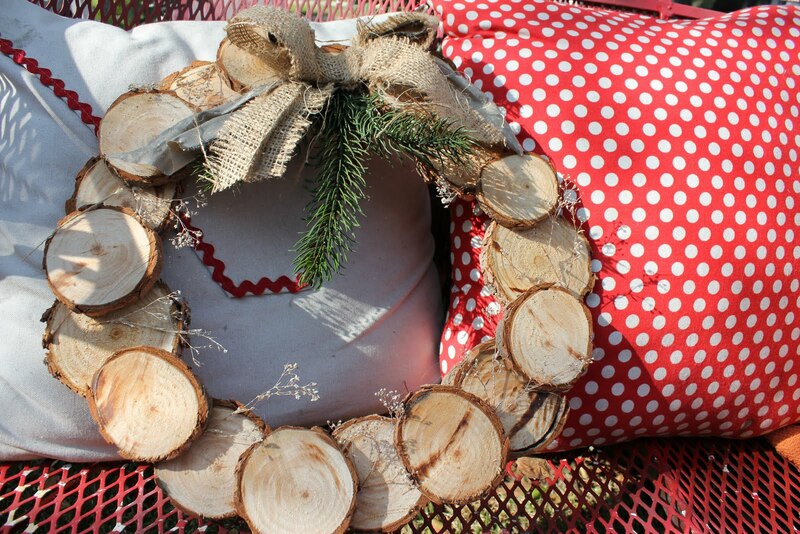 Once your wreath is assembled, add a bow and decorate or embellish as you like! 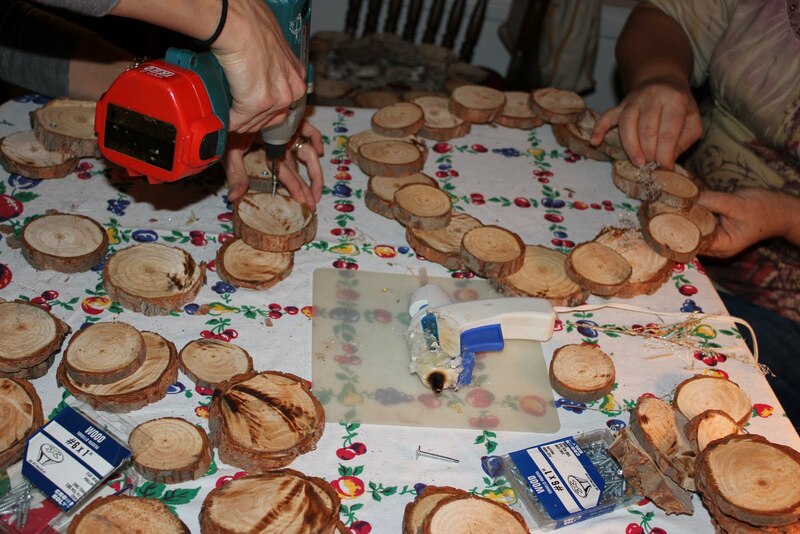 view of the wreath from the back so you can see how the pieces are assembled and screwed together. A unique and beautiful Christmas wreath! 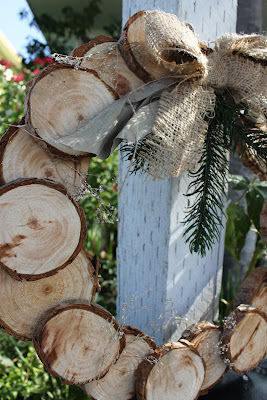 *After I took the pictures Cyndi decided to add a little snow to the wreaths to spice them up a bit more. I'll try to get an updated picture to show you. Oh my gosh, I can't believe you commented on my blog! 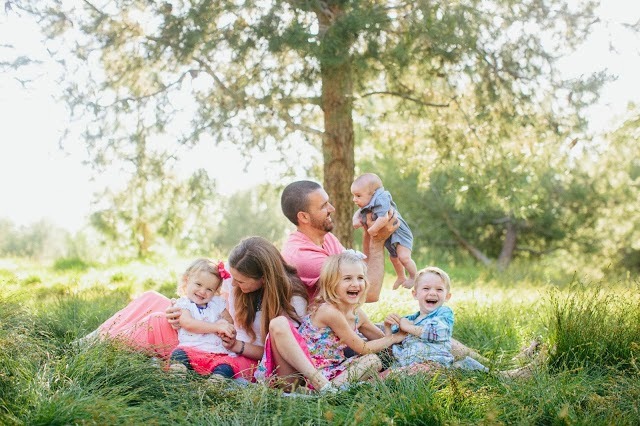 You are a blog rock star! 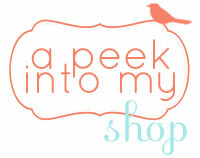 I feel so cool now that you looked at my plain, old, boring (if you don't know me) blog. Anyway, enough with my craziness. My email is kelseybehrend at hotmail dot com. Thanks again, you totally made my day! Awesome idea! Thanks so much for sharing.